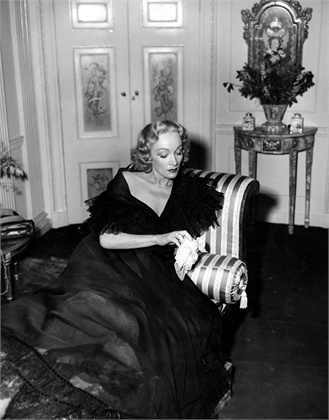 As one of the first directors, Alfred Hitchcock recognized the power of fashion. The style of the costumes in his movies always personify his film characters. 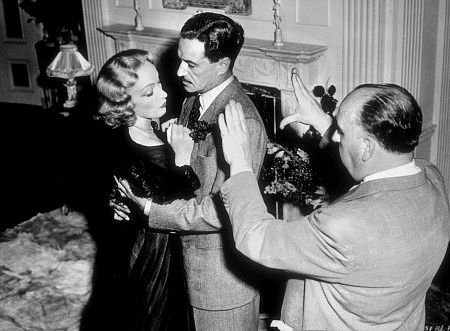 In 1947 the Master of Thrill entered into negotiations with Marlene Dietrich for the movie “Stage Fright”. Marlene Dietrich didn’t require a high salary because she wanted something different: “No Dior – no Dietrich!”. 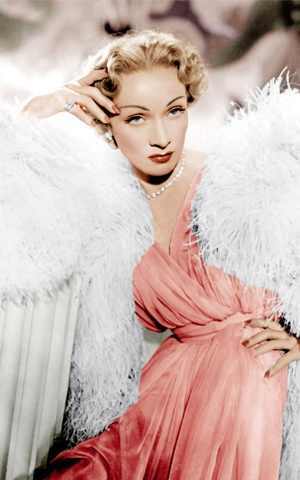 Marlene wore the pink colored dream dress from Dior in Hitchcok’s legendary movie “Stage fright”. 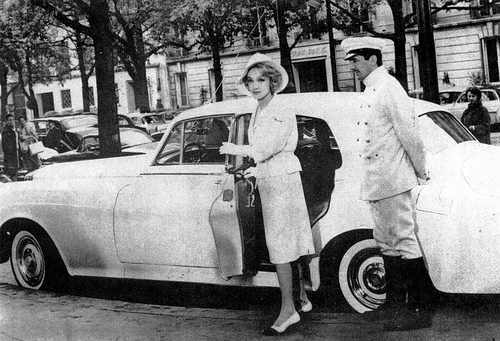 Marlene and Hitchcock at work. 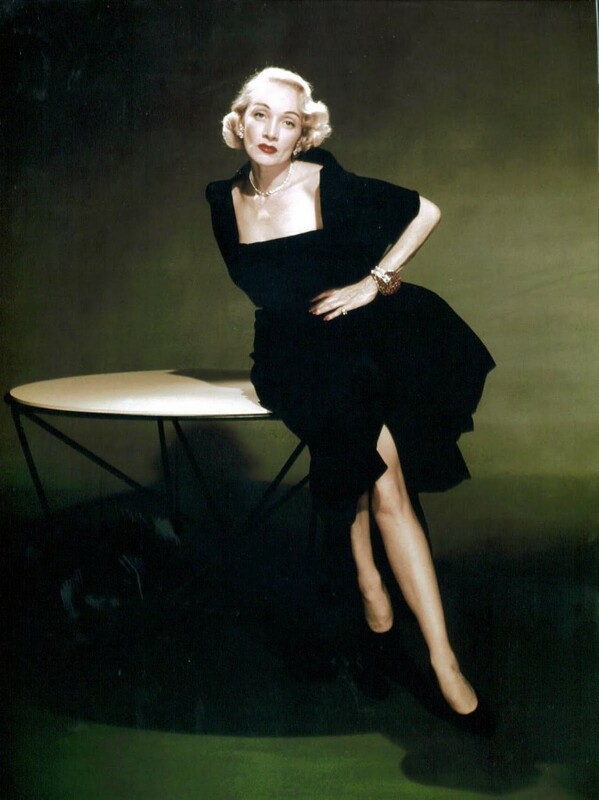 Marlene Dietrich wearing Dior and Chanel Shoes.